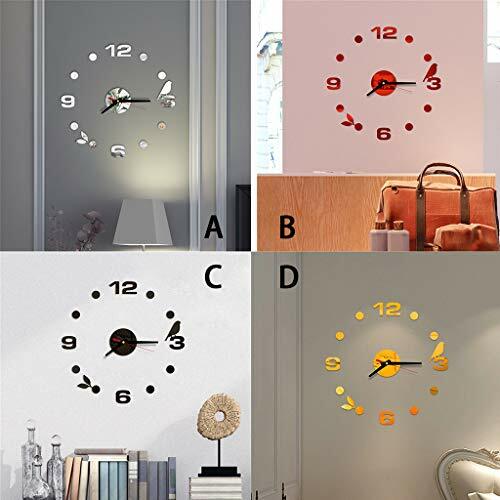 ★ Modern Design: With large size and acrylic mirror surface, this 3d diy clock is an amazing decoration for the blank wall. 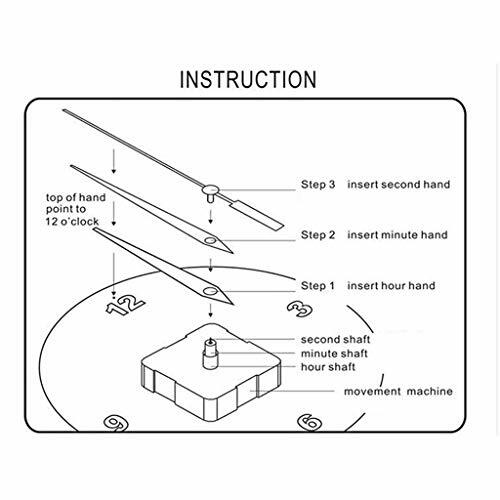 ★ Enjoy the Fun of DIY: Create your own unique wall clock---Combine the clock with a coffee table or round wood board, colour the numbers as you like,and so on. 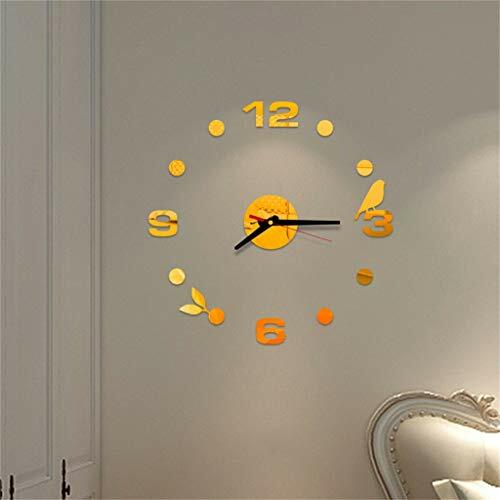 ★ Adujustable Size: With the frameless design, you can easily extend or reduce the diameter of the clock to suit the different size wall. 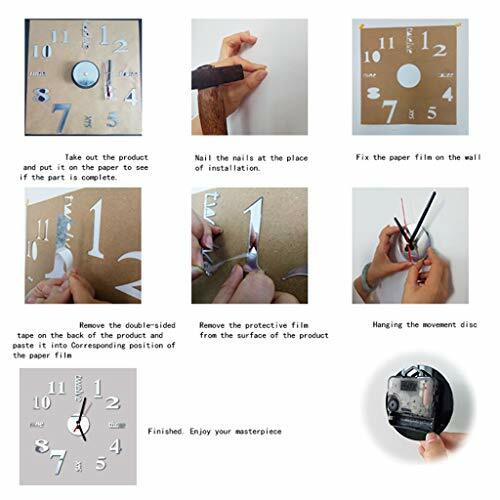 ★ Easy to Install: Package includes self-adhesive stickers and auxiliary scale ruler for easier installation; the clock numbers and hands have a protect film,please tear it off after installation. ★ Warm Tips:We advise you not to stick it on gray walls or wallpaper, because they may decrease the adhesive properties of the surface behind stickers. Silent sweeping movement, Silent Clock Create a quiet night. 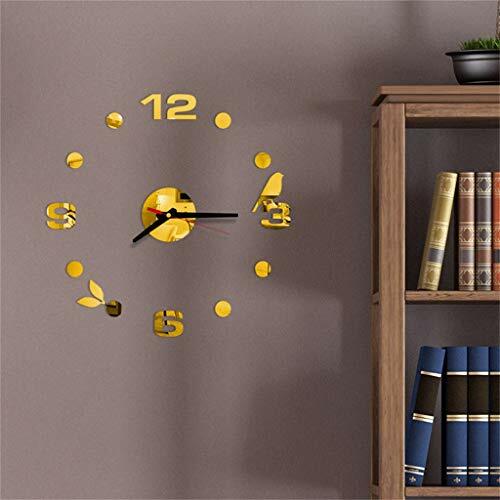 Usage: For smooth walls, For Gifts and Crafts,Business Gifts,Holiday Gifts,Promotion Gifts,Home Decoration; Suitable Place: Living Room, Kids Bedroom, Dining Room, Kitchen, Office, Bathroom, Outdoor, make your room decoration more unique and personality. 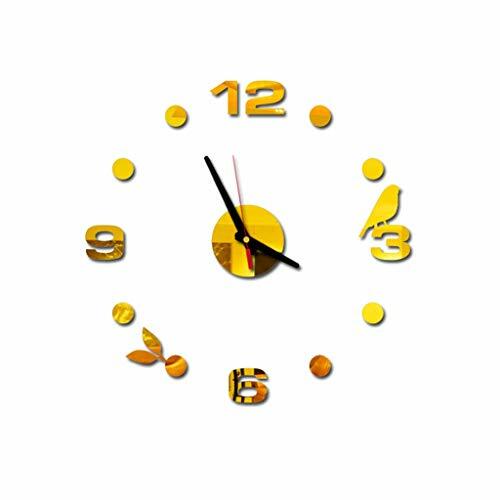 100% New Product ,Clock Surface Have a Protective Film,Please Tear Off After Installation.Note :Please don't install the hour pointer and minute pointer very tight,if not ,that will cause the clock does't move. Finish Size : according to your design, please refer our photo. DIY for your lovely and elegant Room,it will be beautiful,dream house and love house. You can easily become your home decoration designers. good viscidity,water resistant,suitable for most flat smooth surfaces without leaving residue,however a pre-test is highly recommended. 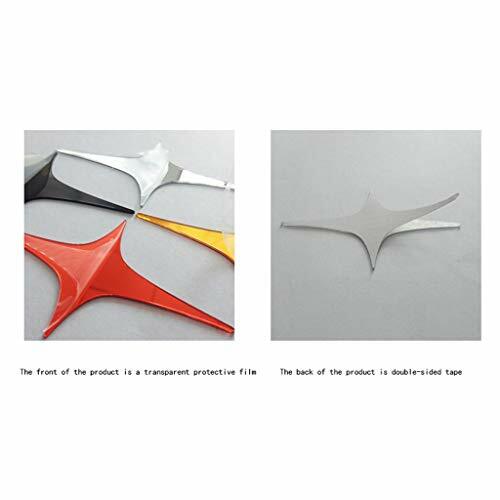 This product can stick onto most hard surfaces such as painted and wallpapered walls,vehicle bodywork, windows,tiles,mirrors,laptop,fridge etc. Step 1:Make sure the surface you apply it to is clean. Step 2:Rub over the surface of the sticker. Step 3:Put sticker stick to wall sticker and place onto surface. Attention: Appearance of a layer of protective film, Take it away after installed, mirror super pretty.